This innovative LED light is made with integrated slide locks, allowing you to easily link them together. 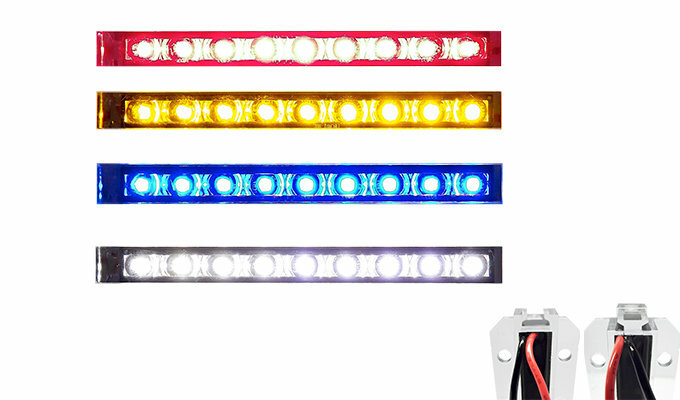 Available with Amber, Blue, Red, and White LEDS in a clear lens. These waterproof lights can be configured in a number of ways. The light includes a mechanical attachment flange, that fastens behind your wall or surface. Providing a very clean LED linear light that can be used in any environment, for a wide array of applications.